We decided to make and sell a recipe book to raise money for our Stramash Week at the end of May. The project started at the beginning of this term and we did it on Mondays and Fridays with Hazel, our classroom assistant. 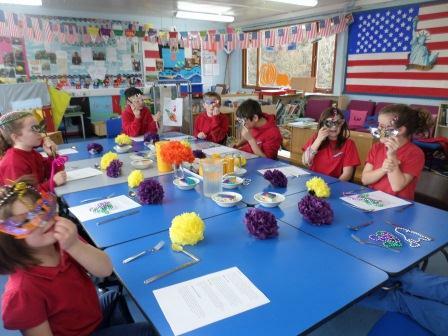 At the end of November, Lismore Primary School held a USA themed week. 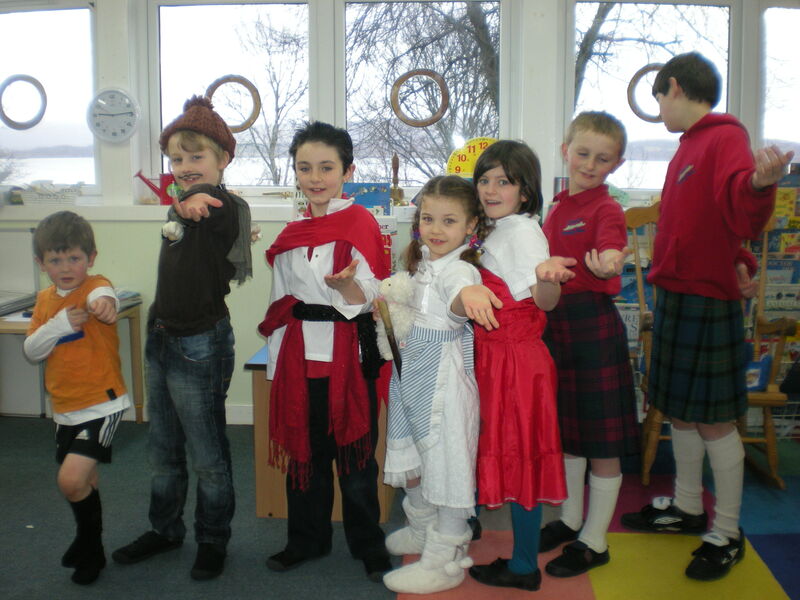 The children had suggested this following the success of China Week at the end of January. The week was chosen so that the children could celebrate Thanksgiving in true style on Thursday 27th November. The children were challenged to make another film about their week and discussed ways to improve their camera and presentation skills before beginning to present their findings. 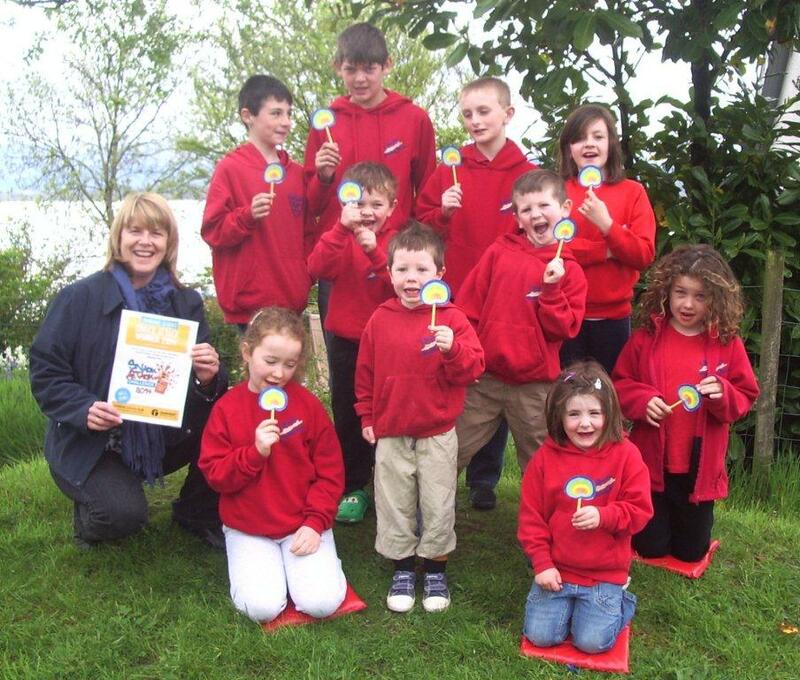 May has been Mountain Month at Lismore Primary School. 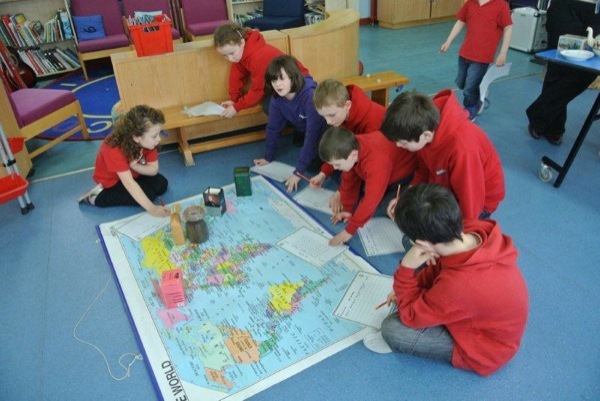 The children began the project by comparing the highest mountain on each continent with Ben Nevis and Lismore’s own highest point of Barr Mor. They made scale pictures of each mountain to compare the range of heights. They then went on to look at how mountains are actually formed and travelled to Glencoe to look at the volcanic and ice age activity that shaped the landscape. They also looked at the basalt, slate and quartzite layering in the Ballachulish Quarry. Lismore Primary School children were delighted to hear that they have been awarded first place in the National Fairtrade Snack Attack Competition 2014. Schools from all over the United Kingdom and further afield competed to design a fun Fairtrade snack, together with its packaging, a marketing campaign and a report about their activities. 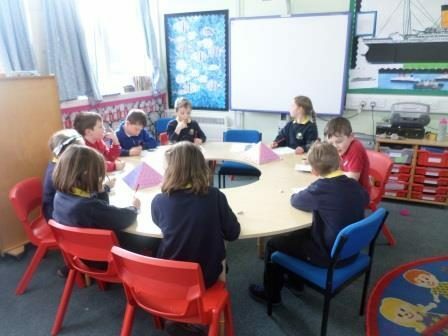 Led by Classroom Assistant, Hazel MacCormick, the Lismore children worked together as a company, brainstorming and presenting ideas before splitting into groups to take on the different responsibilities of graphic design, marketing and logistics. 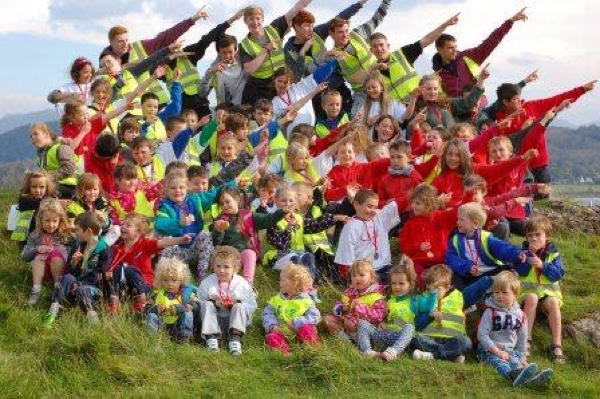 Lismore Primary School hosted a Charity Fun Run for the North Lorn Co-op Schools on Tuesday afternoon to raise money for Argyll Beats Cardiovascular Disease. The event was a follow up to last week’s Health and Well-being Day held at Strath of Appin Primary School. Mrs Morrison was delighted (and embarrassed) yesterday when she was presented with a lovely bouquet of flowers and cards for her retirement. The North Lorn Schools Co-op Head Teachers (Strath of Appin, Lismore and Ardchattan) yesterday thanked her for all your support and contribution to the smooth running of all our combined activities that we have all taken part in. 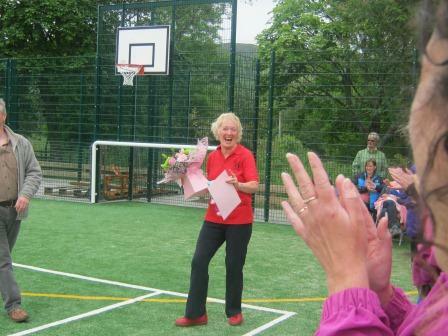 Mrs Morrison, Head Teacher is retiring from Barcaldine Primary School this summer. We wish her well in all her new endeavours!! The week started with a food themed day. The children found out about the different food groups that are necessary for a balanced diet. With the help of Hazel, each child made a healthy smoothie for their snack from a wide variety of different fruits including pineapple, mango raspberries and strawberries. Hazel also introduced a new salad bar at lunchtime where the children could try out different salad vegetables. 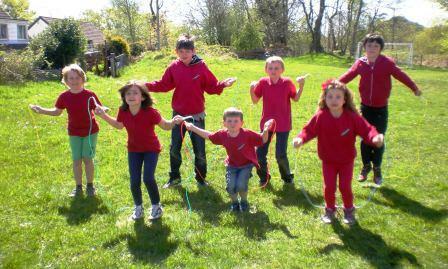 Lismore Primary School held a very enjoyable “Busy Bee Week” from 22nd – 28th April. The week began with a visit from Generation Science (Edinburgh International Science Festival’s Outreach programme) who performed their show – “Little Giants”. 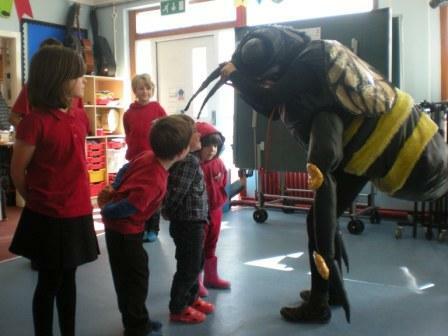 This was an interactive workshop where Buzzy, the giant honey bee and a bee keeper introduced the children to the amazing world of bees. 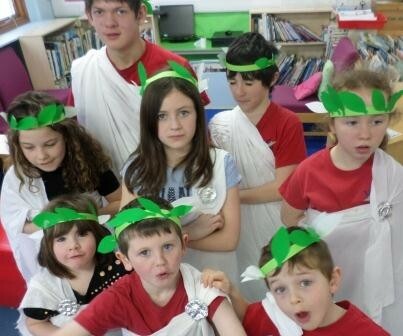 For the week of 4th – 8th February, the children of Lismore Primary School held a EuropeWeek where they learned about all things European. 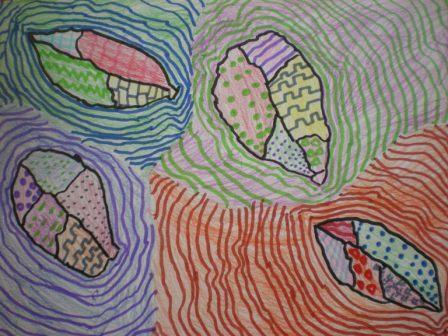 Lismore Primary School enjoyed an exciting Drawing Week from 19th – 23rd November. The aim of the week was to get everyone involved and enjoying drawing and painting. Each day started with a ”Get Drawing” game such as Pictionary or Picture Consequences and then drawing, sketching and painting were included in our activities throughout the day. Last Friday, the usual pupils of Lismore Primary School did not arrive at school, but a strangely dressed selection of characters did! Oompa Loompas, Mike TeeVee and Veruca Salt from Charlie and The Chocolate Factory, Mr Rabbit, Mr Fox and Ash all turned up ready for a Roald Dahl themed day as part of the countrywide Roald Dahl Dress Up Day. Activities for the children included making consequence stories using Roald Dahl characters, inventing their own interesting characters and a variety of general knowledge and logic puzzles about Roald Dahl’s stories. The children are now keen to read more of the author’s stories. 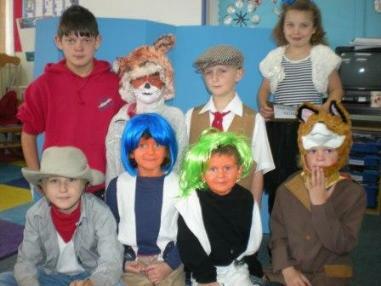 They also had a lot of fun as well as raising money for Roald Dahl’s Charity. As part of their topic about the sea, Lismore Primary School children spent a very enjoyable day at the Oban Sea Life Centre last week. The two Pre Five children also joined them for the day. 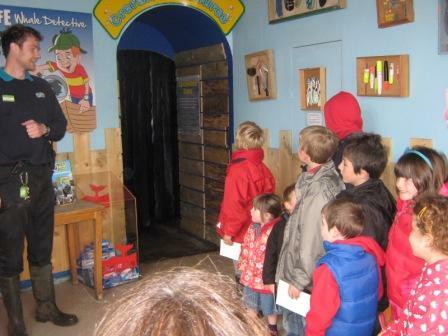 The children began their visit with a tour through the various aquaria with aquarist, Innes. They saw all sorts of water animals which live around the local shores including sea urchins, starfish, lobsters and jellyfish. A large pool contained many different species of flat fish which were well camouflaged on the sandy bottom. There were also cod and coley in the pool and the children were able to get up very close to them! A rather large conger eel caused great excitement as did a number of different sharks and a very active octopus. 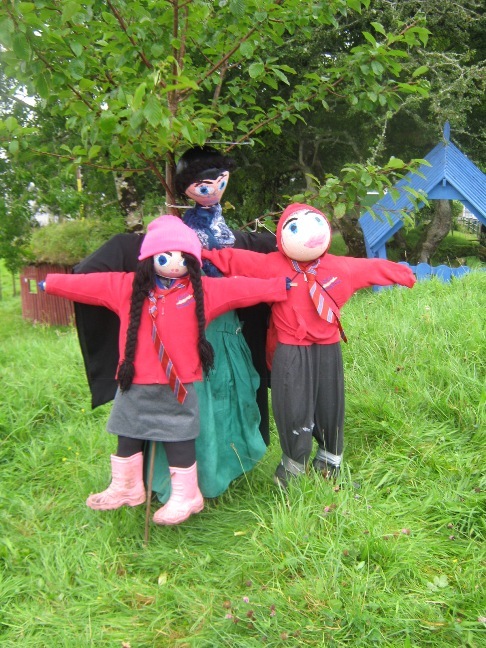 This week Lismore Primary School are taking part in the island’s first Scarecrow Competition. The children began by drawing some designs and suggesting how a scarecrow might be constructed. Next,they stuffed old bolier suits with rags and hay before dressing the scarecrows in school uniforms. Last week, “Miss Strict, with her pupils, Jimmy and Caitlin” were finally finished and put in position close to the roadside. There are about 20 scarecrows dotted around the island and members of the public are being asked to vote for their favourite one before Saturday 22nd September. There are photographs of all the scarecrows on our community website so why not go onto isleoflismore.com and click on “Recent Updates” to vote? 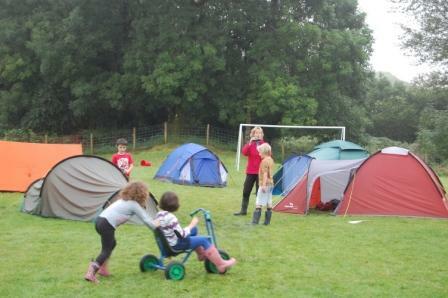 Friday 7th September was Camping Day at Lismore Primary School. Following the disappointing cancellation of last term’s planned camp due to high winds, everyone was determined that this one would go ahead – even if there was a little rain! The children arrived at school with tents and sleeping bags. Some were a little apprehensive as this would be their first night away from home or in a tent.